The initial one involves purchase of drilling equipment while the second phase will entail provision of drilling services. This signals a momentous period for Kenya’s energy projects in multiple ways. KenGen will be the biggest beneficiary of this deal. This contract gives it a new revenue source as a diversification away from the traditional sale of electricity to Kenya Power. Hopefully, the revenue accrued from this arrangement could be utilised to address the bottlenecks that have bedevilled geothermal operations, key among them being high upfront investment costs and the high resources exploration and development risks. The manpower in the geothermal sector has grown tremendously in the last four decades, but more training needs to happen if we are to export the expertise in other African countries in need of them. The bilateral arrangement should address the key environmental challenges that come with implementing major development projects such as conflicts related to land. Environmental and social impacts should be adhered to in order to mitigate potential risks and ensure that communities are not facing negative consequences of these projects. The host government for the project bears this responsibility. Ethiopia stands to learn a lot from the Kenyan experiences by engaging KenGen. This is because Kenya has been exploring, developing and utilising geothermal energy generation for decades. Kenya is the leading producer of geothermal energy in Africa and ninth in the world, according to the Renewables Global Status 2018. 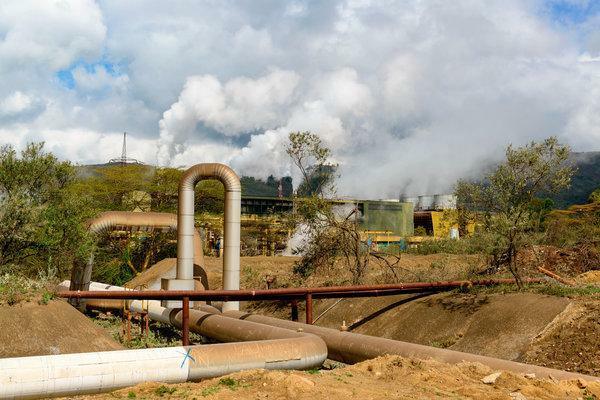 The country has a geothermal installed capacity of 685 megawatts with an estimated potential of 10,000 megawatts in the Rift Valley. Geothermal remains the biggest power source accounting for 44.6 percent of electricity generation mix, followed by hydropower with about 29.8 percent. These statistics should help Kenya pursue carbon free renewable energy that averts any climate related disasters in future. The government should put an emphasis on the development and expansion of locally designed renewable energy technologies and promote existing ones through incentives. There should also be consumption-based incentives that encourages use of renewable energy without cumbersome licensing procedures including on generation and transmission. As envisaged in the Energy Act of 2006, the government needs to promote off grid renewable energy generation for households and income-generating activities. Feed in tariffs offer long-term contracts to renewable energy producers to supply energy to the grid at a predetermined rate, typically based on the average cost of generation of each technology. Such progressive policies can help determine the extent to which renewable energy sources are adopted in Kenya. The most recent renewable energy tax incentives need to be implemented. These offer exemption from Value Added Tax to several components of renewable energy sources, including certain solar cells and modules and PV semiconductor devices. If implemented, these incentives will help further reduce the already declining cost of solar products and thus encourage more investments in the renewable energy sector. With so much untapped potential in the renewables, the country must work towards incentivising renewable power producers to realise full potential. Leveraging the potential of wind, solar, geothermal and hydropower sources, there would be no need at all for Kenya to invest in old fossil fuel technologies such as coal plants. Numerous sentiments have been raised at the fourth United Nations Environment Assembly. The call to nations is for innovation for a low carbon future and the use of natural resources in a manner that does not compromise environment and human needs. With the world moving towards an energy transition of using clean energies, Kenya must seize the moment and become a continental leader in clean power.